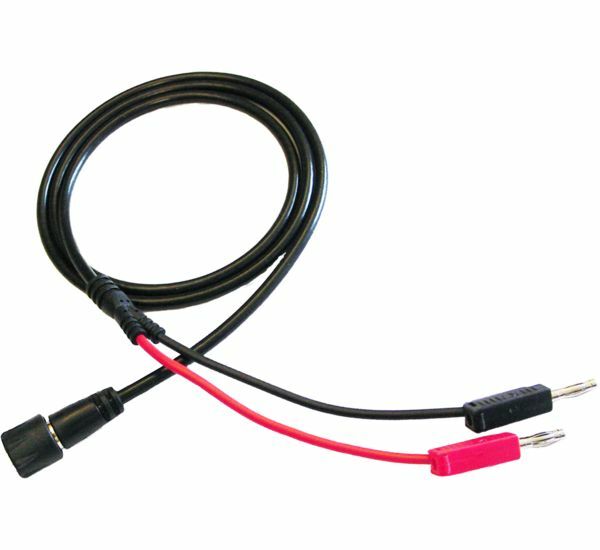 The Measure lead TP-BNCI-100 is a 1 meter long shielded single ended BNC to 4 mm banana plugs measure lead. It is to be used with single ended oscilloscope inputs. The BNC connector at one end plugs directly on the instrument. The two other ends each feature a single 4 mm banana plug, on which application specific test points, clamps or probes can be plugged. The Measure lead TP-BNCI-100 - Set comes in a set containing 4 measure leads. Measure leads can also be ordered individually. The table below shows detailed specifications of the Measure lead TP-BNCI-100.